Oro Bailen Reserva Familiar Arbequina Extra Virgin Olive Oil is a mild early harvest premium extra virgin olive oil, produced by Oro Bailen one of the world's 3 best olive oil mills in 2017. 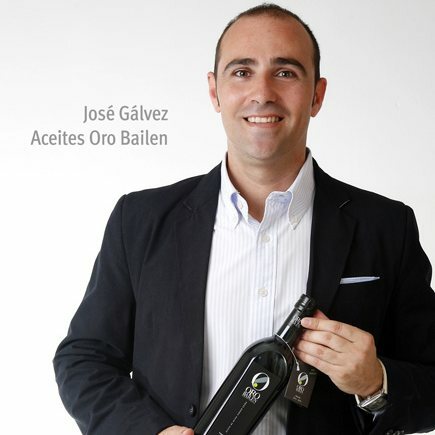 Produced in the world's capital of olive oil, Jaen in Andalusia, at the foothills of the Sierra Morena. The climate in this area is largely determined by the peculiar structure if the valley, which thanks to its ocean opening, allows cloud masses to enter crossing the corridor from West to East aided by the dominant winds and causing important rainfalls during the Spring and Autumn. The oil is produced from the picual olive variety in 2 farms which are fully irrigated, offering a spectacular stability in quality and quantity. It is extracted at low temperatures within 2 hours of the harvest which typically takes place late October to early November, at the peak in the pica's quality. It is subsequently filtered and stored in a temperature controlled environment with an inert gas. This process helps to preserve the oil at its highest taste. Reserva Familiar Arbequina won a gold medal at the London International Olive Oil Competition 2018 as well as 2 Great Taste stars by the Guild of Fine Foods in 2017. Commenting on Reserva Familiar Arbequina, the Great Taste judges said :"Gorgeous colour, with a real vibrancy and a wonderfully intense aroma of fresh grass, and some almond notes. Very smooth texture with a lovely butteriness. The flavour delivers lots of pepper, grass and green apple - very well balanced, and a good depth of flavour. A really lovely oil, and the judges thoroughly enjoyed it. 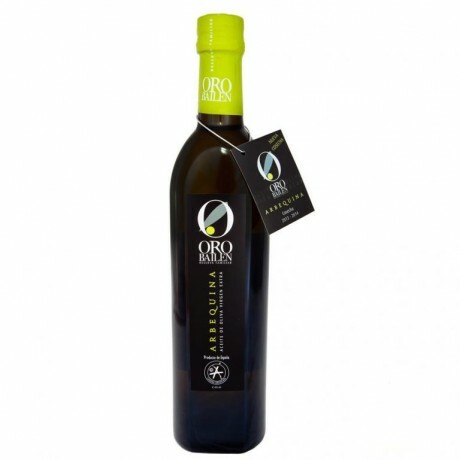 "It is a mild premium extra virgin olive oil, which is particularly well suited for salads and fish." Oro Bailen ranks is one of the most awarded olive oil producers in the world and has received a score of 98 points by Flos Olei, the international olive oil guide. Oro Bailen Reserva Familiar Arbequina displays an acidity of less than 0.15% and is ideal for salads, fish and dipping.